New South Wales Parliament on 21 February 2017, passed the Retail Leases Amendment (Review) Bill 2017 which amends the Retail Leases Act 1994 (NSW) (“The Act”). 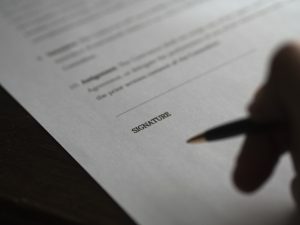 The purpose of the amendments made to the Act, according to New South Wales Parliament, is to increase transparency and certainty in the New South Wales leasing sector, to improve standards of conduct between parties and to increase the operational efficiency of the Act by simplifying its key processes. No Minimum 5 Year Term. The Act will now no longer require that a retail lease be for a minimum term of 5 years and there is no longer a requirement to obtain a section 16 (3) Certificate from the tenant’s solicitor to waive the minimum 5 year term. Compulsory Registration. The Act will now require the leases for a term of more than 3 years (or that are required by the lease to be registered) must be registered by the landlord within 3 months after the lease signed by the tenant is returned to the landlord, and can be extended due to the delay in attainment of mortgagee or head landlord consent, provided the landlord has taken reasonable steps to obtain such consent. A mortgagee does not have to recognise the lease if a lease is not registered and the mortgagee takes possession of the property and did not consent to the lease. Similarly, if there is an innocent third party purchaser who wasn’t aware of the terms of the lease, the purchaser may be entitled to disregard the lease, if the lease was not registered. Executed Copy of The Lease. Within 3 months after the lease is returned to the landlord (or a solicitor or agent), a landlord must provide a tenant with an executed copy of the lease. Bank Guarantee to be returned within 2 Months. The Act now requires a landlord to return the bank guarantee to the tenant within 2 months after the tenant completes performance obligations under the lease to secure the bank guarantee. Compensation for Tenant who Validly Terminates in First 6 months. A tenant can terminate the lease within the first 6 months if the landlord fails to serve a Lessor Disclosures Statement within 7 days before the lease is entered into or if the Lessor’s Disclosure Statement is materially false, misleading or incomplete. The Act will now also provide that in addition to the right of termination, the tenant has a right to claim compensation in such circumstances including expenditure by the tenant in connection with the fit-out of the retail shop. Lessor’s Disclosure Statement: Amendment by agreement or by NCAT. A Lessor’s Disclosure Statement can now be amended under the Act by agreement in writing that before and after the lease is entered into and the amendment will take effect from the date specified. Lessor’s Disclosure Statement: Disclosure of Outgoing. A tenant is not required to pay any amount to the landlord in respect to any outgoings unless the liability was disclosed in their Lessor’s Disclosure statement. If an estimate is given without a reasonable basis, then the Lessee’s liability will be limited by reference to the estimate. Lessor’s Disclosure Statement: Right Compensation for Lessee. Where a Lessee terminates the lease during the first 6 months of the lease for a failure above a landlord to keep a Disclosure document or one that is incomplete, false or misleading. Lessees will now have an entitlement to compensation for costs reasonably incurred by the lessee in entering into the lease, including fit-out costs. Mortgagee Agreement for Lease. A landlord is required to serve a Lessor’s Disclosure Statement 7 days before an Agreement for Lease is entered into. New Schedule 1A. Certain premises that are used wholly for certain non-retail purposes will be excluded from the Act, including ATMs, vending machines, public telephones, children’s rides, signage display, internet booths, private post boxes and certain storage uses. Police Checks. If a lessor requires police or security checks for employees or contractors of the lessee during the carrying out of works, then the lease will be required to not only contain such a provision, but the written approval of the Registrar of Retail Tenancy Disputes will also need to be obtained. Penalty Notices. There will be a new regime allowing the issue of penalty notices for offences against the Act. Consent to Assignment. The tenant under the Act is now required to prepare its own updated Lessor’s Disclosure Statement (completed to the best of the tenant’s knowledge) if the landlord fails to provide an updated Disclosure Statement within 14 days after written request from the tenant. Demolition. If a lessor wishes to rely on a demolition Clause, the lessor must prove that the demolition cannot be carried out practicably without vacant possession of the retail shop. Turnover of Rent. The Act will provide that revenue from online transactions must not be included when calculating turnover rent. If you would like further information or advice on the new amendments to the Retail Leases Act, or the effect of the Retail Leases Amendment (Review) Bill 2017, contact Rockliffs Lawyers now so we can explore how we are able to assist you!